Seven years after my first observations on a meadow in the valley of the small river Bieber in the northern region of the Spessart mountains I visit this special habitat again. The meadow with a wet trench in the middle is in full flowering. 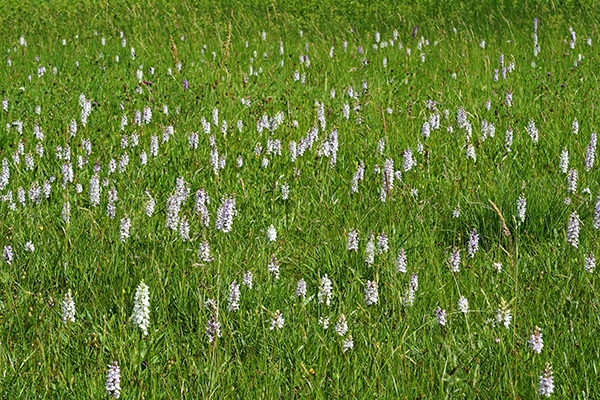 My estimation is that about 600 Dactylorhiza plants are flowering here: About 500 Dactylorhiza fuchsii, 50 already withered Dactylorhiza majalis and 50 hybrids Dactylorhiza fuchsii x majalis. Among the accompanying plants are Rhinanthus spec., Pedicularis palustris, Campanula patula and even a group of Arnica montana. Platanthera bifolia is just showing the first flowers. 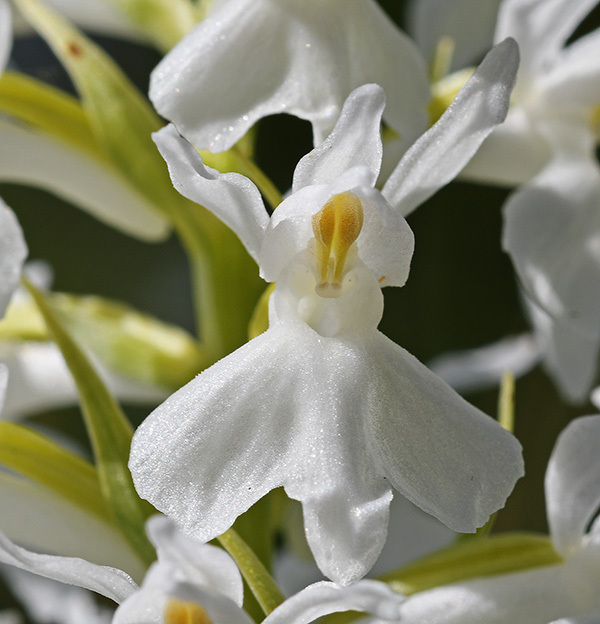 Among the 500 Dactylorhiza fuchsii are about 400 plants with very bright flowers and a pattern of bright violet loops on the labellum. 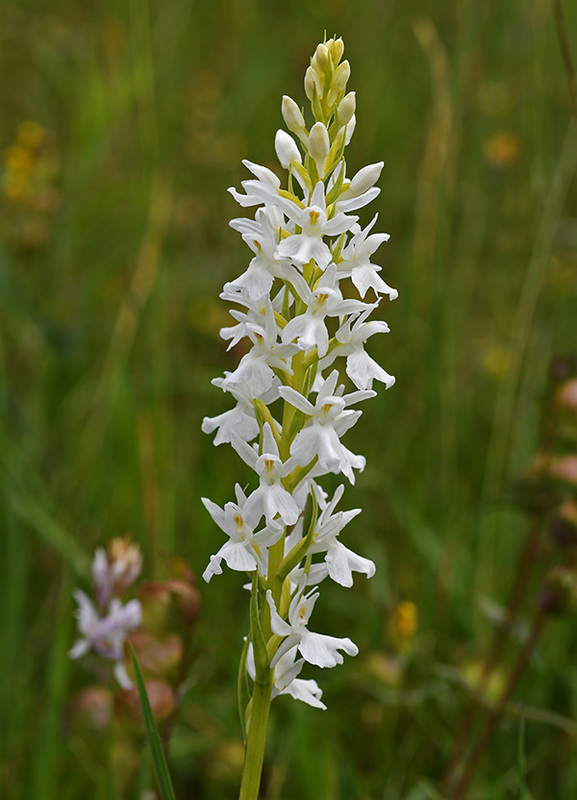 Furthermore, I count 22 albiflora forms with white flowers and non-spotted leafs. 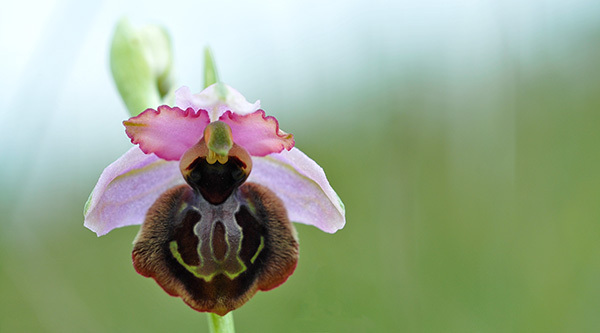 This is a rate of 4.4 per cent – much higher than you could expect if those were just spontaneous mutations. When I first visited this place on 20.6.2010 and 1.6.2012, there were less albiflora plants. Only about 80 of the 500 Dactylorhiza fuchsii have an intense violet colour. 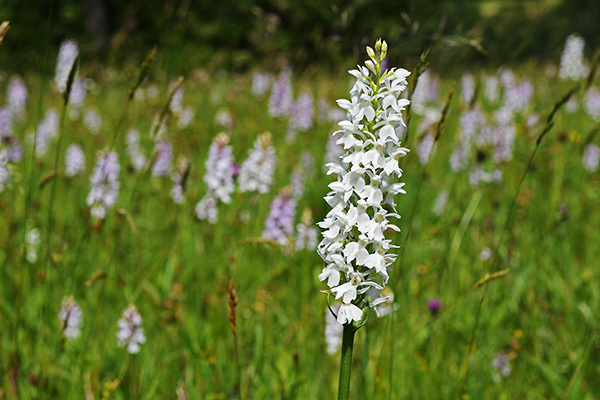 This meadow presumably has its own dynamics of evolution, developing increasingly bright forms of Dactylorhiza fuchsii.